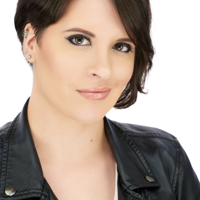 Morgan Berry is a voice actor best known for her work in various anime shows, movies, video games, and web series. Some of her most notable roles being in "My Hero Academia”, “Love Live! Sunshine! !”, “One Piece”, “KanColle”, “Touken Ranbu”, “Hyperdimension Neptunia”, “Tokyo Ghoul”, “Riddle Story of Devil”, “ēlDLIVE”, “Show By Rock! !”, and the award winning film “The Boy and the Beast.” Her most notable video game titles include “Marvel Avengers Academy”, “Smite”, and “Freedom Planet 2”. In addition, she voices for a variety of web series including Team Four Star’s “Final Fantasy VII: Machinabridged”, ScrewAttack’s "DEATH BATTLE”, and the lead role of Eris in “Gods School”. On top of voice acting, Morgan is a singer and YouTube Personality under the name “The Unknown Songbird” with over 6 Million views in total.